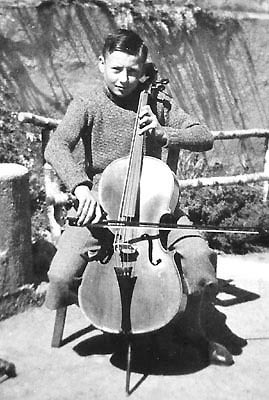 Hummel, born in 1925 in Hüfingen (Baden) and for many years President of the Würzburg Music College, shared with Bartók, Hindemith and Genzmer (from the latter, incidentally, he learnt compositional handiwork) the pedagogical aim of creating realisable music of the highest craftsmanship and artistic standard, suited to helping children and young people to become familiar with the playing of melodies, rhythms and sounds which they would in all likelihood not have heard in their cradle. 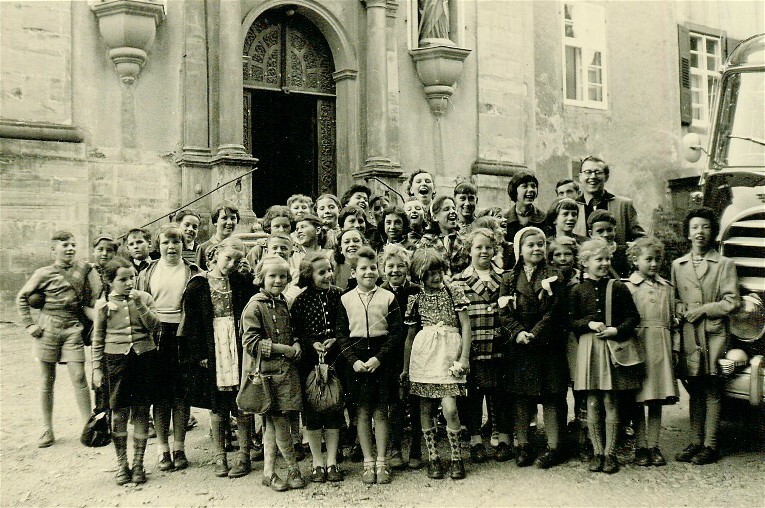 No doubt we all meet the following situation in our teaching: even the least departure from the rhythmic or harmonic norm - even a dissonant interval of a second or syncopations - are seen by our pupils, whose musical background may be of the most basic kind, as unwelcome disturbances. The path leading from this narrowness to a competent relationship to new music is fearfully long and must be traversed with prudence and steadfastness of purpose. Bertold Hummel has made his way along this path with particular success. Let us take as an example the successive editions of the Saßmannshaus method "Früher Anfang auf der Geige/dem Cello" ("An early start on the Violin/ Cello"), which he enhanced with numerous charming duets. 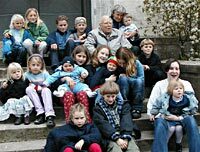 Here we can be sure that thousands of children have in the earliest phases already worked with pieces by this composer and have grown up with them. 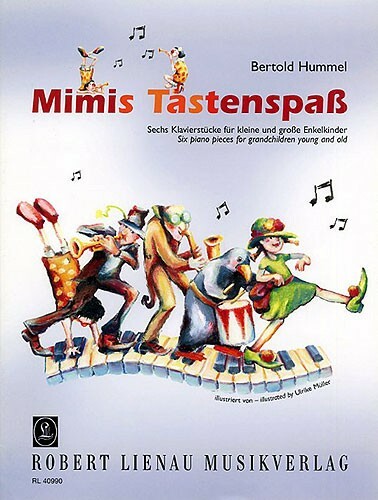 This and the fact that for all later stages in the learning process duos, sonatinas, short concert and orchestra pieces - all entertaining and easy to play - are available and enjoy great popularity among teachers of all types of instruments have led to the situation that Bertold Hummel is linked in the minds of many with the "Sonatina" in the same fatal way as before him Clementi or Kuhlau, whose very usable pedagogical output caused the wide range of their other works to be neglected. 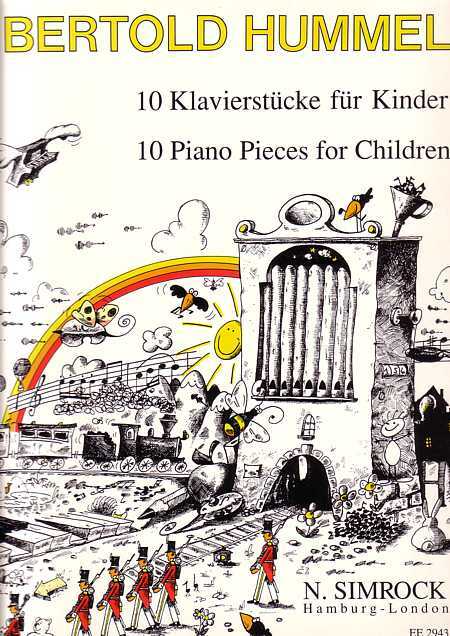 Bertold Hummel composed many works with "child-friendly" music born from a child-like spirit, as we could read in the journal pianonews 4.02. All these works take account of the capacities and musical preferences of young players. Perhaps here the explanation is to be found for the stunning success of these compositions, which have been sold in thousands and performed constantly in music schools and competitions for children and young people. 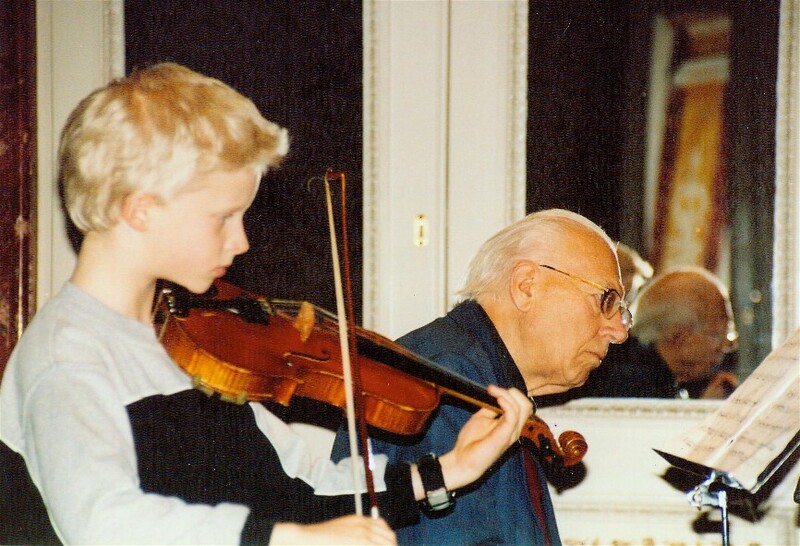 Bertold Hummel with his grandchild Fabian playing the first performance of "Concertino classico"
This department lists string music and books recently printed or reissued. Publications of interest are reviewed briefly. In each issue, a particular composer is featured with some biographical details and Information about works of interest to string players. It is no surprise to discover that composer Bertold Hummel trained as a cellist as well as a composer. He writes with an intimate knowledgc of strings, and seems to favor the lower sound of viola and cello. His special talent is for composing pieces which are full of variety and vitality, hut technically easy enough for capablc students. These pieces will delight teachers and students who are looking for accessible contemporary music. Works such as the Suite, Op. 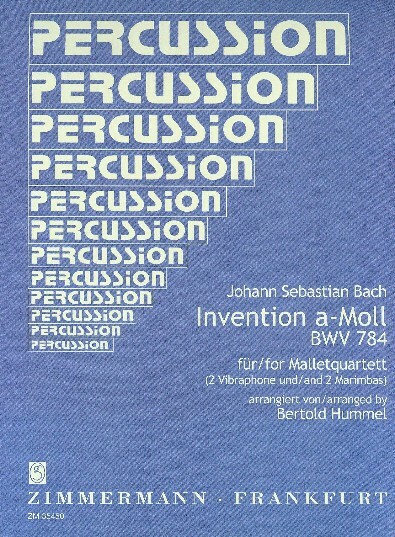 78 for violin solo, reveal a complicated side to Hummel's nature. But he is at his best in pieces such as the Sonatina No. l, Op. 35, originally written in 1969 for violin and piano, and also available in arrangements for viola and piano, and cello and piano. The strong rhythms and bold harmonies of the first movement contrast with the second movement, an elegy played con Sordino. The lively last movement alternates an ala breve time signature with 3/4 time. 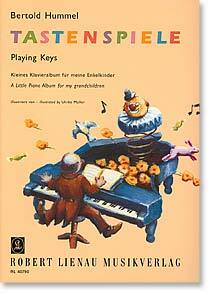 The piano part supplies a good deal of musical interest, and the piece is always musically gratifying. The Sonatina No. 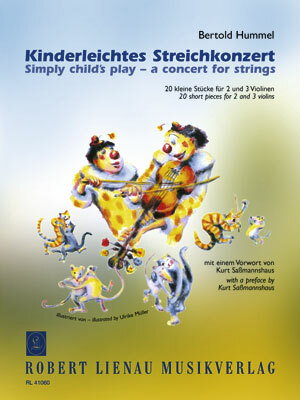 2 for cello and piano is another piece in Hummel's varied, economical style. Like the Sonatina No. l, this piece is made up of three contrasting movements, with a slow middle movement. The entire cello part can be played in the first position. However, the piano part, although well-balanced with the cello part, is far from easy, and the effect is somewhat reminiscent of the Three Easy Pieces by Hindemith. 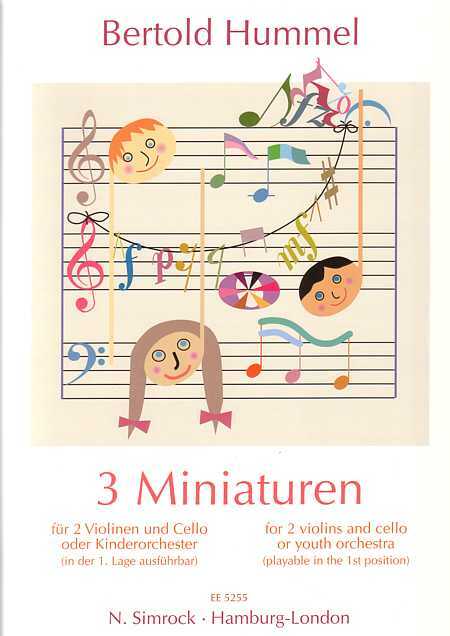 The Little Suite, for cello and piano, and the short but effective Arioso for cello and piano, from 1986, round out Hummel's significant contribution to the literature for cello and piano. His Sonarina Op. 69b for double bass and piano will be welcomed by teachers and young bass players. 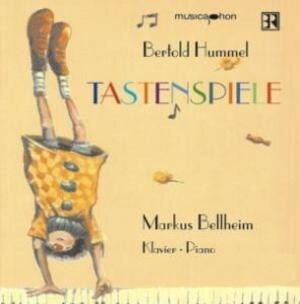 Hummel works with uncomplicated musical material, and yet he manages continually to surprise and delight with his harmonic and rhythmic contrasts. Although many of Hummel's pieces for solo stringed instrument and piano are clearly intended for students, I would not hesitate to place them on a recital program. Their beauty and excitement could not fail to please an audience. 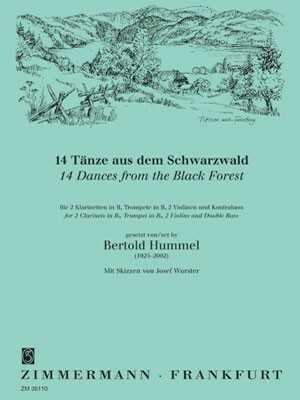 14 DANCES FROM THE BLACK FOREST for 2. Clar., Trp., 2 VL., DB.